My Year of Service – Getting Things Done! CSF is a wonderful organization and I’ve been lucky to be a part of it since I was 17 years old. As a junior in high school I applied for their Achiever’s Scholarship and was named as one of their Achievers Scholars. Fast-forward four years later and I am happy to say that I have graduated from college and am a proud alumna from Western Washington University. My time in Bellingham was wonderful, I made amazing friends and had the best time of my life . They definitely aren’t lying to you when they say that “College is the best time of your life” because it really is. I had many blessings along my college journey that allowed me to successful . Once graduated from Western I knew knew that it was my time to give back to m community and pay it forward. 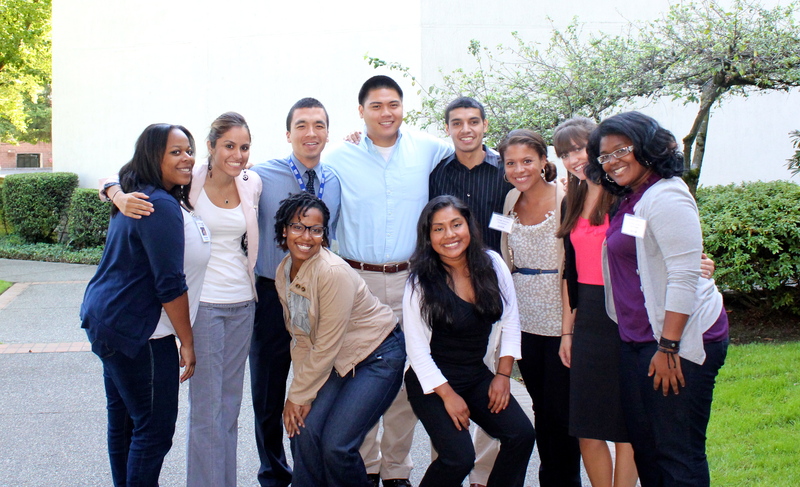 I decided to become a “College & Career Coach” (CACC) through CSF’s AmeriCorps program. As CACCs we were placed in four different school districts in Washington serving more than 2400 middle school students. Our main focus was to create a “College-going” culture for our high-need service sites through the implementation of college awareness, advising, and readiness support. I was placed at Aki Kurose Middle School Academy, which was probably one of the toughest schools in the Seattle School district. Despite the negative stigma around the school I walked in there with an attitude full of hope and my young, fresh out of college “I’m going to change the world” outlook on the situation. I was given a small office space and quickly began decorating it, making sure that it screamed “COLLEGE” . The first couple of months were tough, I was trying to get a feel for the school, I was trying to build relationships with teachers and staff as well as getting familiar with how to create lesson plans that serviced my student population. I didnt begin working with students until late November which was not the most ideal situation but after trials and tribulations I finally figured out how to serve the students that I needed to. It wasn’t easy and there were many times that I felt like giving up ,but I knew that my role at Aki did indeed make a difference even if I couldnt see it sometimes. In the end despite feeling overwhelmed with work and sometimes unappreciated by my work or kids, attending 8th grade recognition night and seeing all of my students graduate from middle school I slowly began to get a little sad, a definite bittersweet moment. I think Im definitely going to miss my “mocosos” ( little boogers in Spanish). I’m hopeful that my almost 1700 hours of service did indeed make a difference. I don’t know what’s next in my path, but I am slowly making my way and figuring it out.